Help support us or organise a Fundraising event! As a Registered Charity the Ely Centre depends upon public donations to help fund our campaigns and support work for the bereaved and injured of the "Troubles". Without the communities generous support this would not be possible. The Ely Centre receives increasing numbers of referrals from across Northern Ireland relating to unique needs from people of all ages and backgrounds. In an environment of limited resources we want to ensure that they all have access to the specialist care, support and training that we provide. Our aim is to help bereaved and injured civilians and service personnel by providing further support services to address the range of diverse psychological, physical and practical needs they experience. With your help the Ely Centre can continue to provide our services to all who need it. Please help us, donate or get involved today. Your financial support is essential for the Ely Centre, but it's not the only way to respect, remember and empower Victims and Survivors. There are a variety of opportunities to get involved including: hosting an event in your community and much more. Please contact the office and we would be delighted to speak to yo. 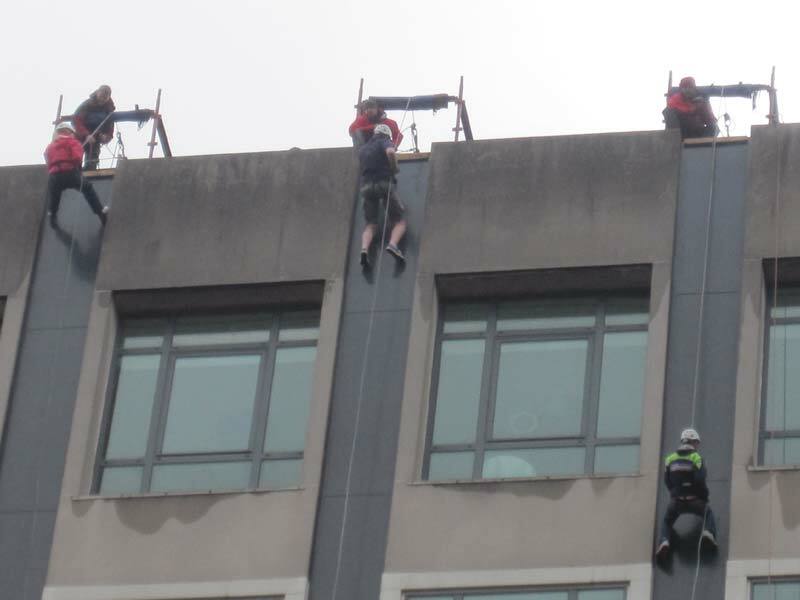 Image from a recent Fundraiser, A team of volunteers from the Ely Centre raised funds by Abseiling the Europa Hotel in Belfast in partnership with BAC (Belfast Activity Centre). Successful Welfare Pilot Project in South Armagh concludes. Brooke House as part of The Ely Centre Project are delighted to announce the Award of £20,000 Capital funding from the Armed Forces Covenant Trust. © Copyright 2019 | Ely Centre. All rights reserved.